Shine bright in the Christina Sweater Dress by Lovers + Friends. Dipped in a mega-hot pink hue, this thick-knit sweater is constructed of a plush, all-cotton fabrication that's perfect for keeping breezy on the go. 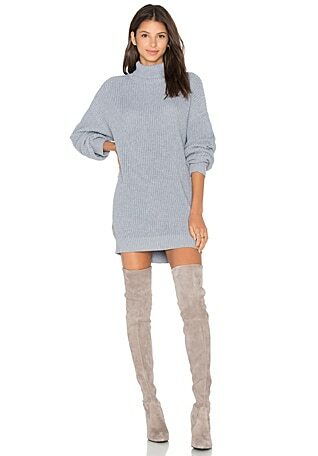 A classic foldover turtleneck design caters to the cold, while ribbed edges keep this mini dress secure and snug.